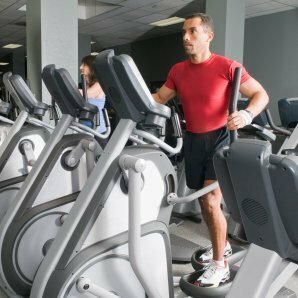 An elliptical exercise machine provides a great cardiovascular workout. However, the exercise moment can be spoiled if your elliptical squeaks with every rotation. This is a guide about fixing a squeaky elliptical. I have an elliptical that is starting to squeak like crazy whenever I'm on it. Normally I would spray some WD40 on it but I'm all out. So I figured there's got to be something else around the house I can use. Any suggestions? Take a q-tip and apply some Vaseline to the spot; if you can find some Slick 50 lubricant in Auto Parts[or similar] it should last longer than the WD-40. Try Pam cooking spray, I've used it for squeaky door hinges! WD 40 attracts dust, not a good thing. Silicone spray would be better if you have any, or Vaseline. Other possiblities: a light oil (like 3-in-1 oil), silicone spray, graphite, baby oil, or even cooking spray in a pinch. I have a pro-form ZE5 and it has started to squeak. I have tried to spray WD40 on it. It will silence it for a few minutes then it starts to squeak again.